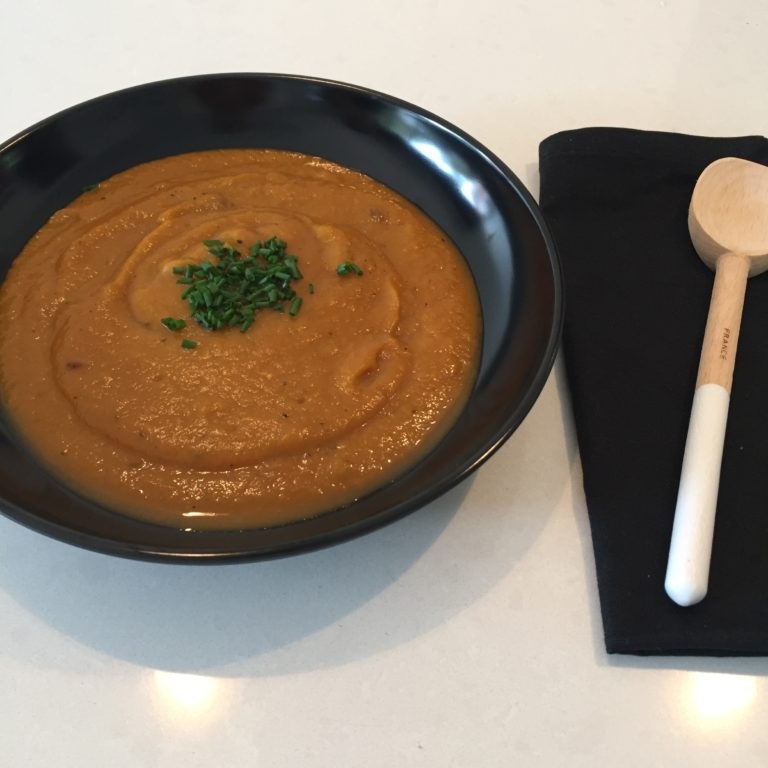 I have had many lentil and vegetable soups in my time, but this one is one of my favourites. Roasting the vegetables first brings the sweetness out of them and adds an amazing flavour to the soup. Packed with protein from the lentils, this soup is clearly a meal in itself. Salt and pepper, as required. Prepare your lentils by placing them in a bowl and covering with filtered water. Set aside for 1 hour. Rinse lentils after they have been soaked. Place your leek, pumpkin, parsnip, capsicum, cauliflower and zucchini in a roasting dish. Add the minced garlic and toss to combine. Roast in oven for 1 hour, tossing occasionally so everything cooks evenly. Transfer your vegetables into a pot on the stove. Add your vegetable stock and lentils. Bring to the boil and then reduce heat to a simmer. Allow to cook for 20 minutes until lentils are cooked through. Check seasoning and adjust to taste. Add fresh parsley and serve. As a big fan of Japanese food, miso paste is a regular ingredient in my cooking. It is a great source of iron, calcium, potassium, vitamin B and protein. 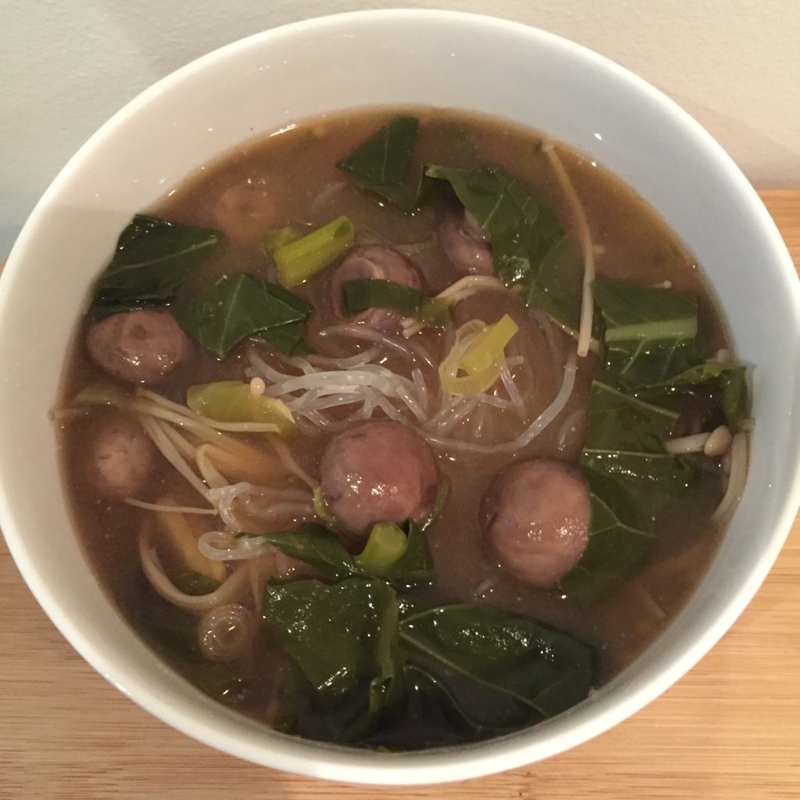 It is extremely versatile and using it to flavour this soup has brought my love for Japanese into my kitchen. I have kept this recipe simple and is a fabulous option for a light lunch or dinner, however if you would like to include more protein into it some shredded chicken would be a great addition. 250g Kelp noodles or udon noodles. Heat large saucepan on stove and add spring onions and ginger. Stir for 1-2 minutes. Pour in vegetable stock and bring to boil. Reduce heat and simmer for 10 minutes. In the meantime, prepare your miso, water, tamari and coconut nectar by mixing well in small bowl. Prepare your mushrooms and greens. After 10 minutes, add the miso paste and mix well. Add your mushrooms and greens and allow to simmer for 5 minutes. Whilst the soup is finishing cooking, prepare noodles as per package, divide amongst bowls and then ladle in your soup with mushrooms and greens. Greens, greens and more greens. Soup for me is often a complete meal and this cream of broccoli soup is no different. 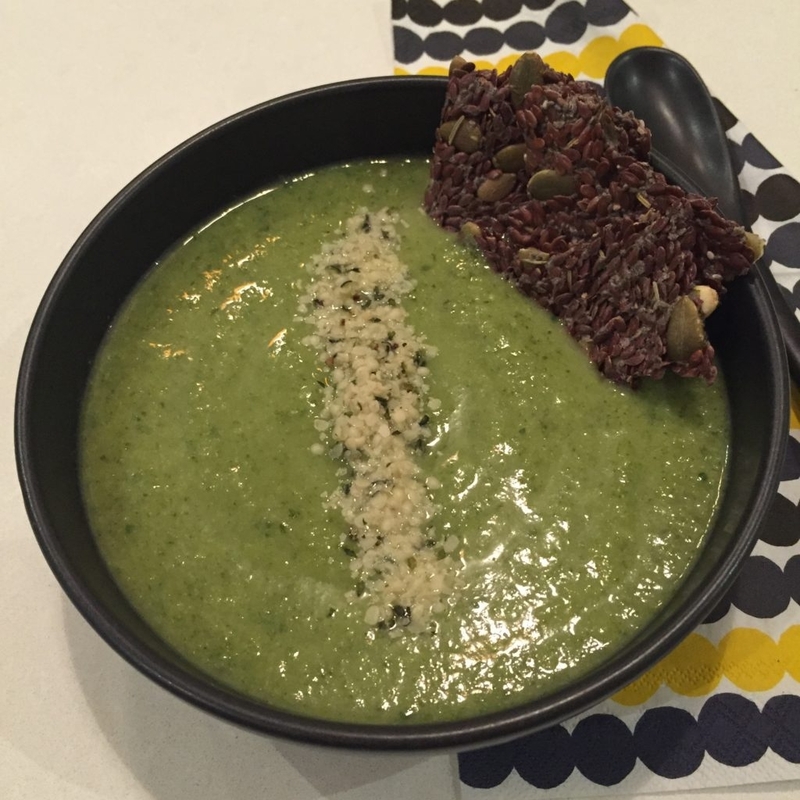 It's packed with fibre from the broccoli and spinach and has a silky, creamy finish from the avocado. It will be hard to stop at one bowl. Heat oil in large saucepan and sauté leek, garlic and celery for approximately 5 minutes. Add broccoli and stock, bring to the boil, then reduce heat and simmer for 15-20 minutes until broccoli is soft. Add the spinach and mix it in until it has all wilted. Remove soup from heat. Add the avocado and then either transfer into a high speed blender or use a hand mixer to blend it until smooth and creamy. Taste and adjust the seasoning if required. Picture a dark, gloomy, rainy day.... How satisfying to know that you could have this thick, sweet, filling soup for your next meal. Roasting the vegetables takes away all the fuss from the preparation and gives it a delicious flavour. Place pumpkin, sweet potato, onions and garlic on a tray lined with baking paper. Drizzle with olive oil. Bake in oven for 45-60 minutes until vegetables are soft and charred. Remove vegetables from oven and allow to cool for 5 minutes before transferring to a blender. Add vegetable stock and seasoning and blend until smooth. There is always a soup of some kind in my fridge especially during the colder months. Apart from it being comforting and warming, it is an easy way to get some additional vegetables into you. Heat oil over medium heat in heavy based saucepan. Add leek and sauté for 5 minutes. Then add garlic and stir for 1-2 minutes, making sure it doesn’t burn. Add zucchini and carrots, stirring for a couple of minutes. Pour in vegetable stock and season to taste. Cook for about 20-30 minutes until vegetables are tender. Add fresh dill and then blend soup until nice and smooth. There are many days when I have craved a soup for lunch or dinner, but haven't had one pre-prepared on hand, so have had to put one together quickly. 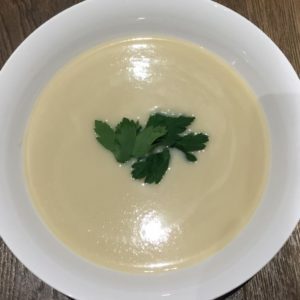 This creamy cauliflower soup is definitely a ‘go to’ option and due to its thick consistency, more often than not it ends up being my complete meal. Heat olive oil in heavy based saucepan. Add the remainder of the cauliflower, stock and seasoning. Stir well. 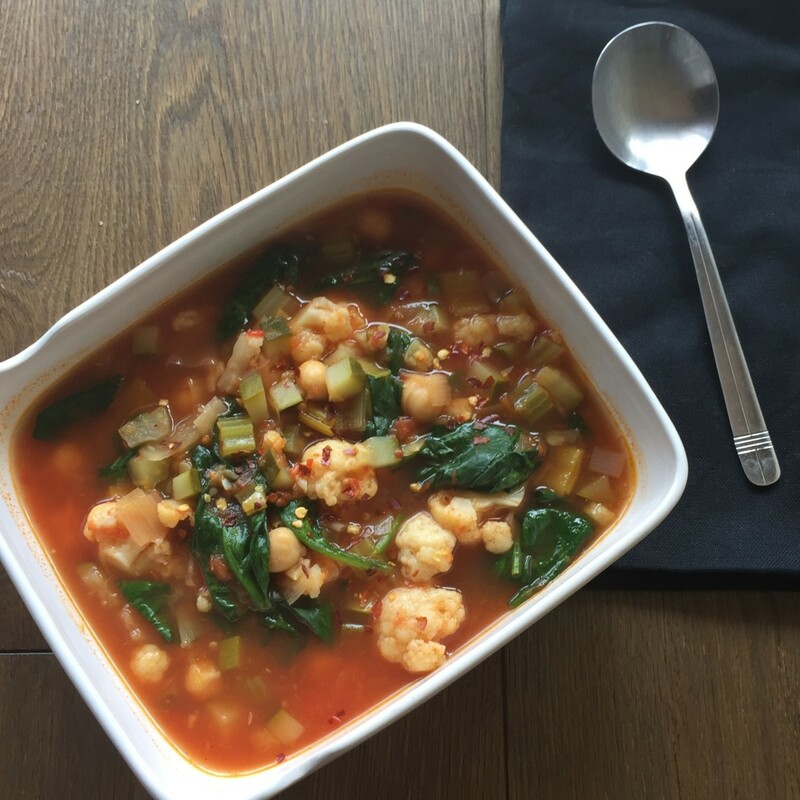 Bring soup to the boil then reduce heat to a simmer and cook for approximately 20 minutes until the cauliflower is soft and tender.. Check seasoning and add coconut milk now if using. 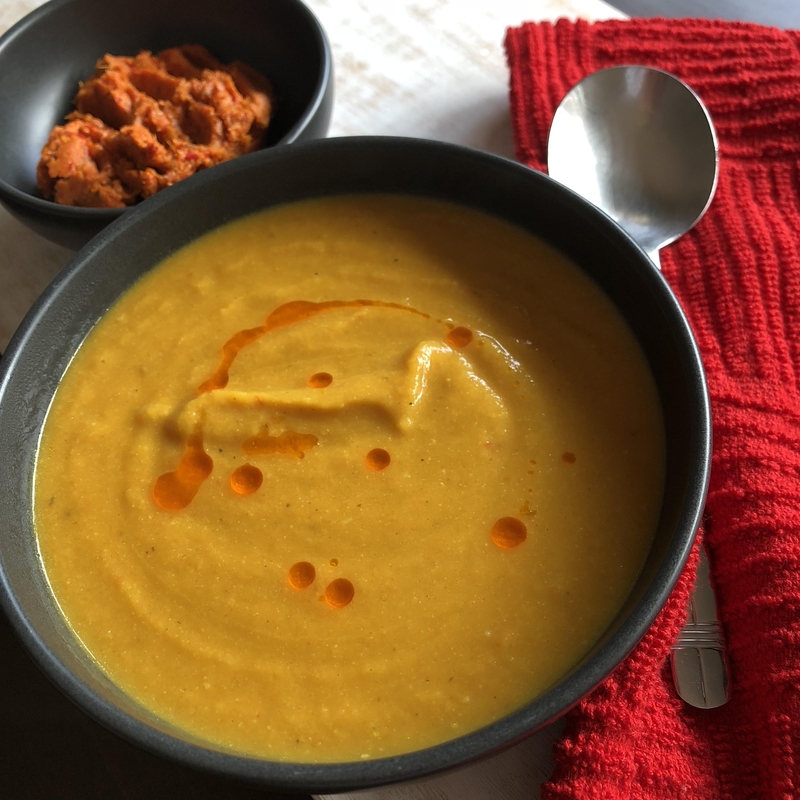 With the warmer months behind us and the cooler weather setting in, there is nothing better than a nice hearty bowl of soup to warm you from the inside out. The recipe below came together after pulling out of the fridge the bits and pieces that I had. 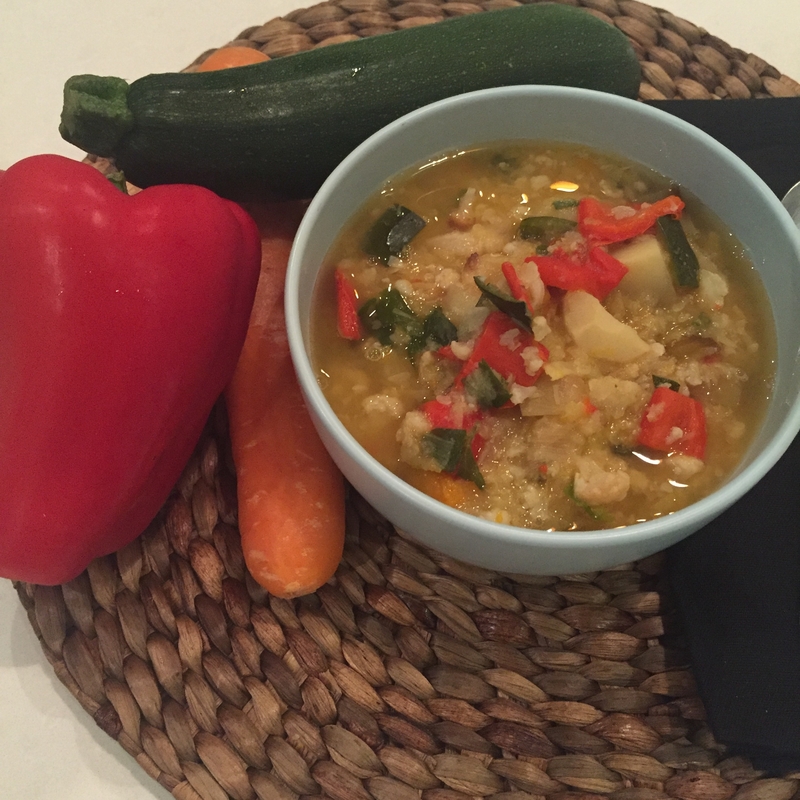 It is a great basis for a vegetable soup that can be changed and altered to suit whatever vegetables you have on hand. I personally like to add some chilli flakes for that extra pow! Add leek and celery and sauté for approximately 5 minutes. Add the remainder of the vegetables, seasoning, diced tomatoes and chickpeas and toss well. Pour in vegetable stock and bring to the boil. Once boiling, reduce heat to a simmer for approximately 30 minutes until the vegetables are soft and tender. Add spinach leaves and simmer for a further 5 minutes. Can be served with toasted bread.